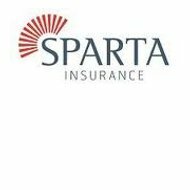 For this Sparta Health Insurance Company Review we will be looking at Sparta Insurance, what it offers in terms of insurance products and as a company. Sparta stands for Specialty Program and Risk Transfer Alternatives. It is an underwriting company for property and casualty services and products and serves mostly commercial business lines. Although Sparta Insurance does not offer personal health insurance, you can compare health insurance rates right now by filling in your zip code in the free quote box. The mission of Sparta Insurance is to provide a long-term solution to the unbundled program marketplace. This solution is for the placement of Specialty Programs and ART that are characterized by a controls orientation, service, and expertise that adds values to the businesses of their customers. Sparta and its employees follow a strict set of values in order to reach their mission. Their first value is service. They believe that in order to lead, you have to serve. Their organization is designed to maintain and deliver a customized product smoothly, timely, and with added value. Pluralism is another value, which refers to the belief that the best outcomes are the result of input, transparency, and communication from a number of unique perspectives. Their value of accountability refers to them conducting business in a way that encompasses respect for their business partners, high ethical standards, and accountability in all that they do. Rigor is a value that refers to the pursuance of excellence. They strive for continuous innovation and improvement in the pursuit of their objectives. With teamwork, the company realizes that each individual makes an important contribution to the company’s success and that when everyone works together the company can go further. Their final value is action. They have a predisposition for both action and initiative. The products and services that Sparta offers to the commercial middle market are available on an unbundled basis. This allows third party vendors access to them to distribute to their market. Some of the benefits of keeping the products unbundled are that there is greater control and focus when dealing with the products. Unbundling also allows for more transparent and competitive costs. Sparta offers their products through two structures. In their specialty structures, Sparta fully retains the risk, and the sharing of the risk is provided via sliding scale. In their ART structures, the assumption of risk is covered by reinsurance participation or quota share. The sharing of the risk uses captive reinsurance that is in support of agency, group, and association. They also use sponsored captives that are organized through facilities that are rent-a-captives or as captive insurance companies. If you are a successful and experienced insurance professional, Sparta would be interested in looking at your resume. The company is continually growing so they are always in need of new team members. Even if the position you are seeking is not currently available, you can send in your resume and it will be reviewed when new openings are available. These benefits are available for permanent employees who work full time or those who work at least 30 hours every week. To see what positions are currently open, you can go to the website or you can call the Vice president of human resources at 860-275-6514. After reading the position description, if you meet the minimum qualifications required, you can email your resume to human resources. If there is not a position available that you are interested in or qualified for you can email your resume anyways and express which positions you are looking for. Your resume will be kept for six months and continually reviewed when new openings come about. To look for traditional health insurance all you need to do is fill in your zip code information right now and you can compare health insurance rates.